It is not just boys who like their toys, us girls too can appreciate fast cars, private jets and for me, an avid Bond fan, a stealth yacht. The Strand Craft 166 is an uncompromising superyacht that is as outrageous as it is daring. 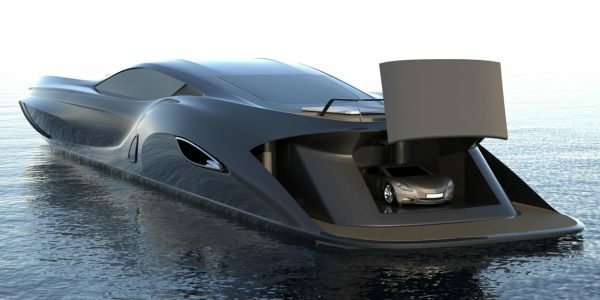 Designed entirely around an automotive theme, this yacht is ideal for owners who are addicted to that new leather smell. Her low stance, enormous length and curled haunches give this vessel a dynamic aesthetic that is guaranteed to turn heads in the most well appointed marinas. She embodies automobile-inspired lines; check out the curvy, wheel-well-like “haunches,” as Strand Craft refers to them. Of course, she also comes with a custom sportscar in her transom garage. More features setting the Strand Craft 166 apart: a hideaway flying bridge and radar mast. 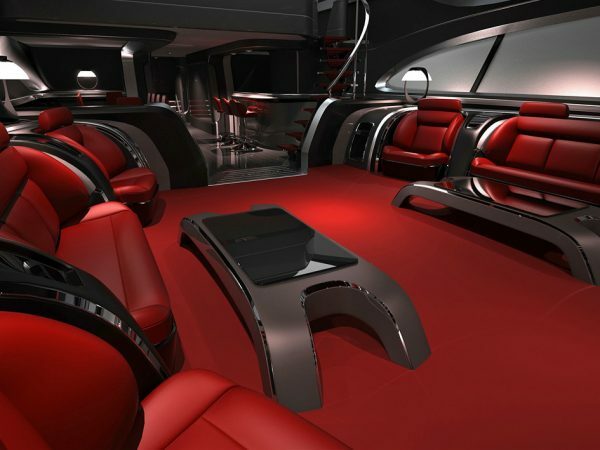 There’s also virtually wall-to-wall use of red leather inside, including in the five staterooms. Offered as an option: what Strand Craft terms Japanese Samurai tread leather, which incorporates Vectran, a textile known for its strength and moisture resistance. For the ultimate tie-in to the fast and furious lifestyle, Strand Craft says the 166 should hit a top speed of 50 knots, powered by twin 5,766-hp MTU engines connected to a 5,600-hp booster and waterjet drives. The SC 166 motor yacht also comes with the option of having upholstery made from an exclusive Japanese Samurai tread leather. These custom designed leathers are woven from a bullet-proof textile made of Vectran fibres. 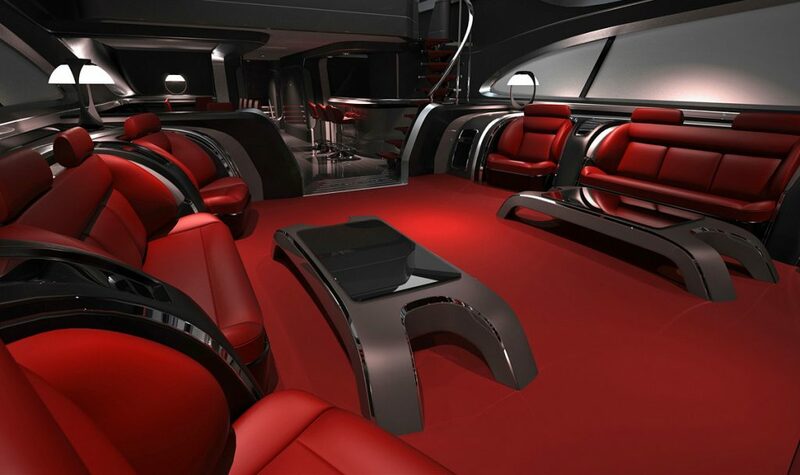 Optionally all walls can be covered in Samurai leather to make it a bullet proof yacht. Now how cool is that? Q would have been proud. The names Lynham, Lady Lynham, and I’ll take my martini shaken, stirred and bullet proof! Visit the Strand Craft website. 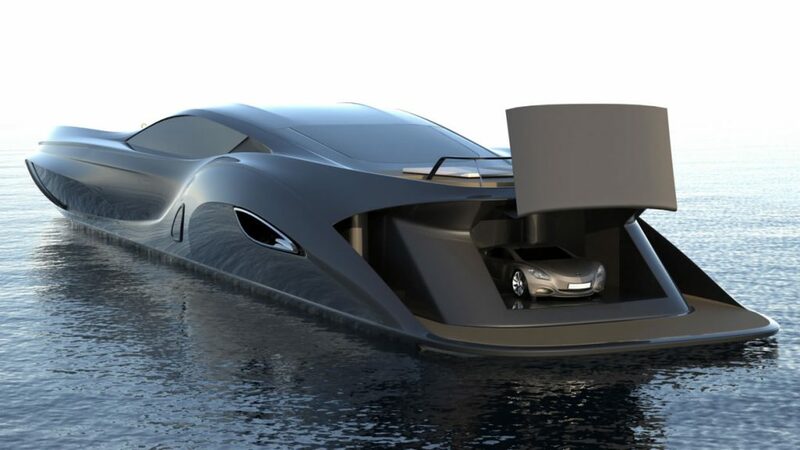 Price on application as all yachts are custom made.